It seems that everywhere you look these days, inspiration presents itself for innovative home improvement and interior design. Television shows, Pinterest, and a variety of websites offer up the latest trends, color combinations and new takes on convenience, comfort and class. However, even amidst an ever-evolving mindset in home design, one constant that appears repeatedly continues to be the incorporation of granite counters and surfaces. Beyond simply keeping up with the latest fashion, the choice to replace your counters may cross your mind for a variety of reasons. Laminate or wood counters may be stained, scratched, chipped, showing signs of wear on heavily used areas, scorched from hot pots or faded. With improvement and not simply replacement in mind, granite rises to the top of the list as one of the only materials which is resistant to all of those damaging conditions. Sure, you can do what you’ve always done with your interior design and simply swap out the existing damaged wood or laminate counter tops with a newer model. Choosing that route, chances are that you’ll live to see the need for a second replacement while you still reside in the home. Certainly, budget is a consideration in every home renovation project, but it shouldn’t be one’s only consideration. When you assess the versatility and expected life of granite, the value quickly starts to reveal itself. If it’s time to consider something new and that should include an upgrade, K&J’s Custom Granite in Edmonton may be the best place to start. With a selection of colors and designs that compliment most every taste, granite will inspire your imagination and expand your realm of what is possible. In addition to its resilience mentioned above, it is important to note that granite is the second hardest material on the planet behind diamonds. When properly finished granite is more resistant to bacterial contamination, is easy to clean and maintain and is well regarded to increase one’s home value. By choosing granite, you’re less likely to experience the conditions in the future that have led you to your renovation project now. The decision that you make today is one that you will enjoy for years to come and the choice to incorporate granite fixtures is one that you’re sure to never regret. Create the custom home of your dreams with the colors and finishes that will complete your home sweet home. You can start designing that home now. Contact our team at K&J’s Custom Granite now and let us help you bring your vision to reality. 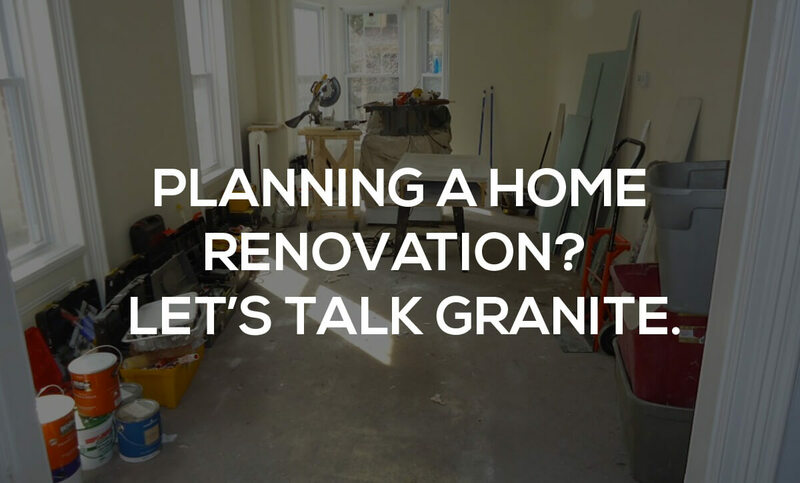 Whether you’re renovating to refresh the feel of your legacy home, or you are building your dream home from the ground up, the decision to include granite in your home is one of the best investments you will make in your next design project. Whether you find your inspiration from home design magazines, television programs or through posts on social media, let’s build on your inspiration to create something that is as unique as you are.